Don't leave your pets behind when you travel to Big Sky MT. More and more travelers are bringing their pets with them, and many lodging properties recognize this unique niche. If you're traveling with pets, discover Big Sky Montana Pet Friendly Hotels and lodging options here. 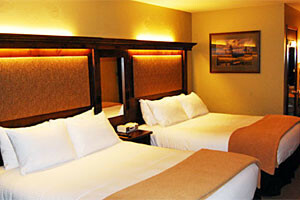 Ask each lodging property about their pet policy before you book. 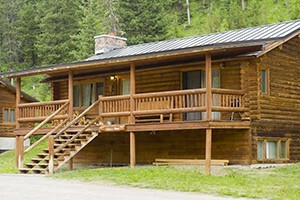 Pet-friendly accommodations at our Big Sky area guest ranch. 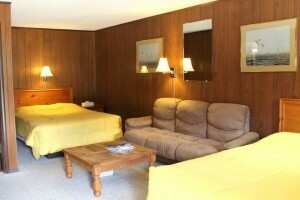 Select from riverside cabins or 3-bdrm rental homes. 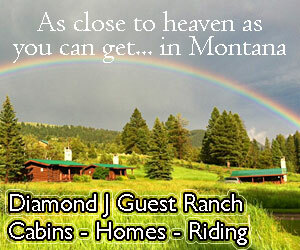 On-site dining, bar, fishing pond, horseback riding & more. 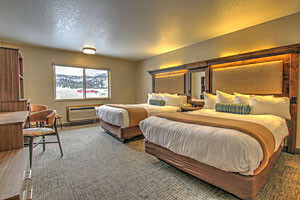 In Big Sky, on the way to and from Yellowstone, our rooms feature WiFi, 2 queens, fridge, cable & coffee. Adjacent to our legendary roadside cafe and bar. Awesome vibe! Pets are welcome at our Big Sky hotel that includes on-site award-winning restaurant, pub & bar, meeting space, outdoor pool & hot tub, winter ski bus, and fun local events. 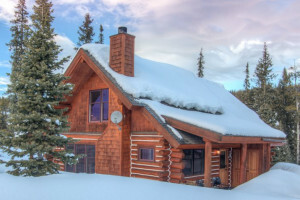 Private Homes even pets will love, just an hour from Yellowstone. Summer includes fishing, hiking, ziplines, rafting and more. Winter offers access to 5800+ skiable acres.